It was a night of glitz and glamour, with all the big names in the New Zealand Wine Industry in attendance. Held here in our region for the very first time, we can honestly say, Nelson, you did us proud. The Saxton venue was transformed into a spectacular dining room for over 630, with TV3’s Hilary Barry and Mike McRoberts taking the stage as our hosts for the evening. At the start of the evening it was a thrill to be told that our Pinot Noir’s Pure Gold medal had been elevated to Pure Elite Gold status. One of only 6 of the 297 entered. Quietly hopeful, we waited for the Pinot Noir Trophy. We were in the running for sure, but up against some very stiff competition from the likes of Central Otago and Marlborough. And we won! To say we were overjoyed was a bit of understatement. By the end of the evening our region had amassed not one, but three trophies. With Siefried and Waimea joining in the Nelson celebrations. 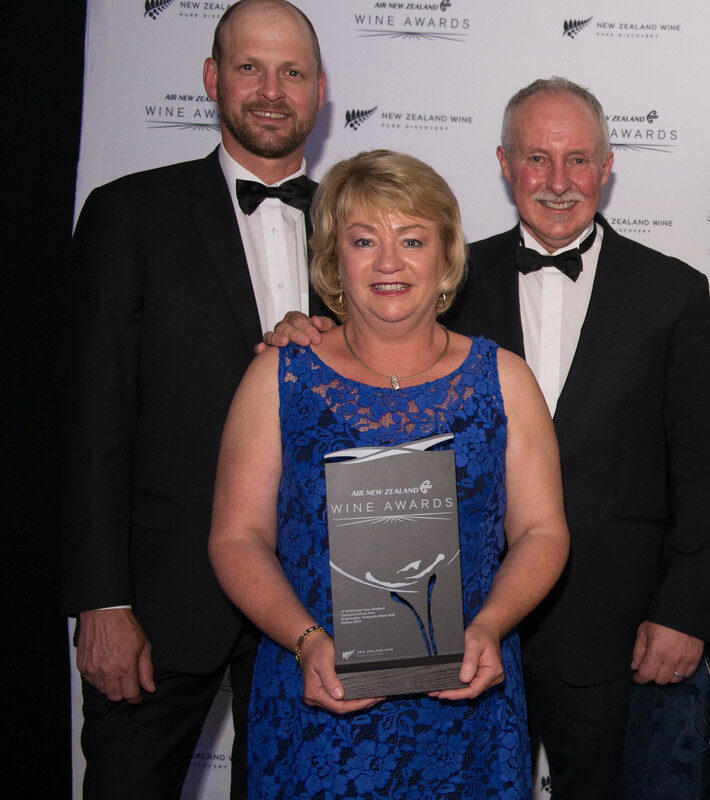 What a win for Brightwater Vineyards, and for Nelson wine. Our Nelson Pinot Noir is now among our most celebrated releases, with four gold medals, and now the JF Hillebrand New Zealand, Champion Pinot Noir Trophy from the Air New Zealand Wine Awards. Stock is already moving fast, so if you’re looking for a special Pinot Noir to add to your cellar, or someone you know, you can order online here.